Younger workers could be risking their long-term health and increasing their chances of developing a musculoskeletal disorder (MSD) through overuse of their smartphones and other portable devices, an MSD expert has claimed. 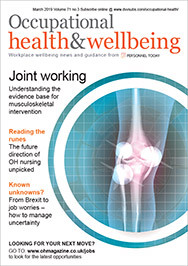 Katherine Metters, a senior consultant and manual handling trainer at workplace ergonomics consultancy Posturite, said businesses should encourage employees to make adjustments to how they use their smartphones or laptops to minimise their chances of developing an MSD through their use. Younger workers were of particular concern, she argued, because they gave “greater priority” to their smartphone use than to their long-term health. A study published last year by the University of Gothenburg in Sweden found that there was a link between texting on mobile phones and short-term musculoskeletal conditions in young adults and, to a lesser extent, long-term effects on musculoskeletal disorders in the neck and upper body. According to HSE figures, 8.9 million working days were lost due to work-related MSDs in 2016/17 – an average of 17.9 working days for each case – resulting in huge cost to the economy. Metters claimed most people did not begin treating an MSD until they began to experience pain, and tended to return to doing what caused the issue once the pain went away. At the Institution of Occupational Safety and Health’s IOSH’s 2018 conference in September, she will argue that people don’t worry about the damage certain activities are doing to their body until they feel pain. 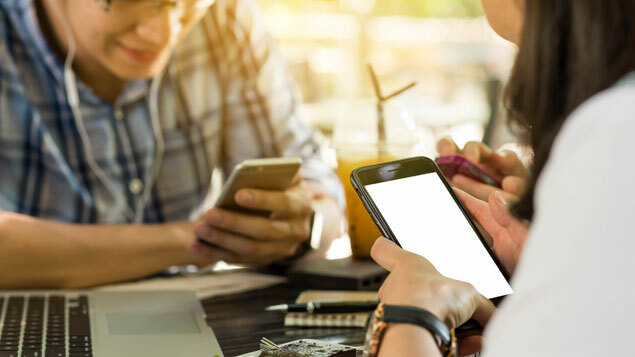 A survey conducted by Thumbtel earlier this year found that six in 10 full-time workers aged 25-34 were experiencing “smartphone fatigue” because they were unable to completely disconnect from their work. Another study published by Specsavers found that just a quarter of employers provided eyecare for all smartphone users, despite their usage being covered by the Display Screen Equipment regulations.